Suicide Squad Character Poster - Slipknot. 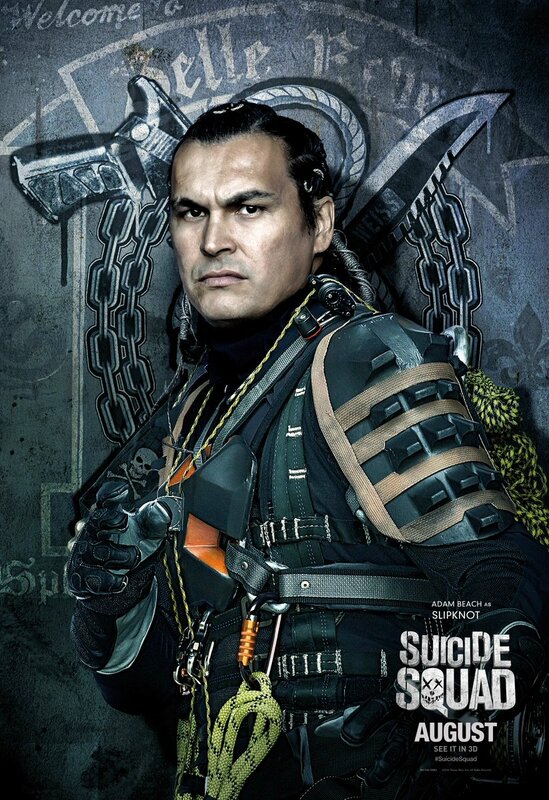 Adam समुद्र तट as Slipknot in Suicide Squad (2016). HD Wallpaper and background images in the Suicide Squad club tagged: photo suicide squad movie 2016 poster character adam beach christopher weiss slipknot belle reve. This Suicide Squad photo might contain राइफल करनेवाला, राइफलमेन, रायफलमैन, ग्रीन टोपी, विशेष बलों, कुलीन सैनिक, हरे भरे, विशेष बल, हरी टोपी, अभिजात वर्ग सैनिक, नौसेना सील, सील, and नौसेना मुहर.